Marketing has become so diverse that is takes a well-defined integrated marketing approach to make sure you are reaching your targeted buyers the right way. 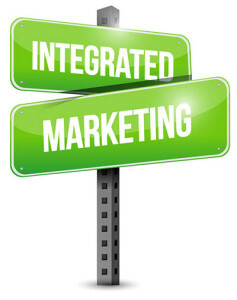 Through integrated marketing, you make sure to share a consistent brand message across both traditional and non-traditional marketing channels by using different promotional methods that reinforce each other. By realizing the strategic roles of the many traditional communication disciplines (advertising, sales promotions, public relations) with the non- traditional (social media, inbound marketing) you increase the combined impact that will be achieved when integrating both. "Inbound practices produce 54% more leads than traditional outbound practices."